In 2002 when Audrey Saunders first introduced her ‘Earl Grey Mar-Tea-ni’ at the Ritz Hotel in London, it took the mixology world by storm. 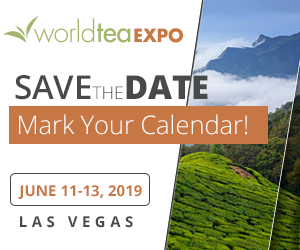 Ms. Saunders was at the forefront of a movement to use herbs and other culinary ingredients behind the bar, and while the cry was of innovation, Audrey was actually tapping into the historic use of tea that had largely gone out of vogue. In Colonial New England, the punches seen in taverns and wealthier households typically featured tea. ‘Across the pond’ in Scotland, hot toddies were the rage among those who wanted a gentler way to enjoy their scotch. 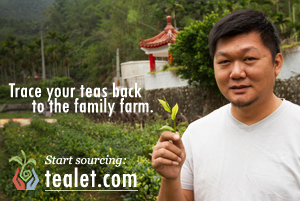 Both of these historic approaches used water steeped tea. For the modern approach, I’ve always been partial to infusing my leaves into the alcohol (Audrey’s approach) or into a simple syrup. 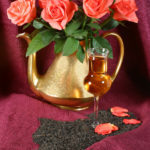 Tea ice cubes, perhaps with embedded flower petals or herbs, can be fun to use, allowing a visually exciting component that allows your drink to ‘evolve’ as they melt. 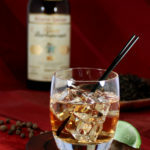 A house-made tea bitter or two can also be a welcome addition to any well stocked bar. 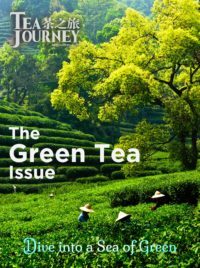 The use of tea in your cocktails can give you a fascinating array of backdrops to build upon, or it can be used to add depth, complexity and nuance. Teasing forward the botanicals in your spirit, playing with the aromatics of the drink, highlighting aspects or bridging otherwise disparate ingredients into a coherent whole. 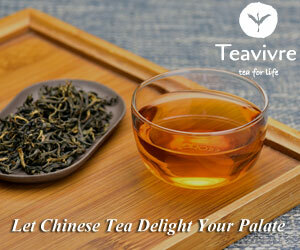 The tannins in tea also play well with those found in wood aged spirits. The possibilities are endless! Tea can also play a pivotal role in cocktail garnishes. 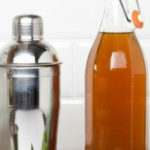 Consider candied or fresh tea leaves, tea smoked salts and sugars and ground tea and spice as a glass rimmer. This cocktail was first created for the Boston Park Plaza Hotel when it originally opened as the Statler Hotel in 1927. The Statler Lounge in the hotel pays tribute to that history. Tannins in tea add a touch of depth and balanced the sweetness of the flower petal infused White Port while the added aromatics and complexity from the florals are a lovely touch. 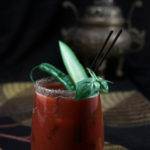 This variation on a Bloody Mary is a wonderful vehicle for an earthy, smoky, Lapsang Souchong tea. 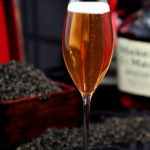 This champagne tea cocktail has been served on multiple continents and is a perennial favorite at L’Espalier in Boston.